The China Doll Facial is one of the hottest treatments in town! 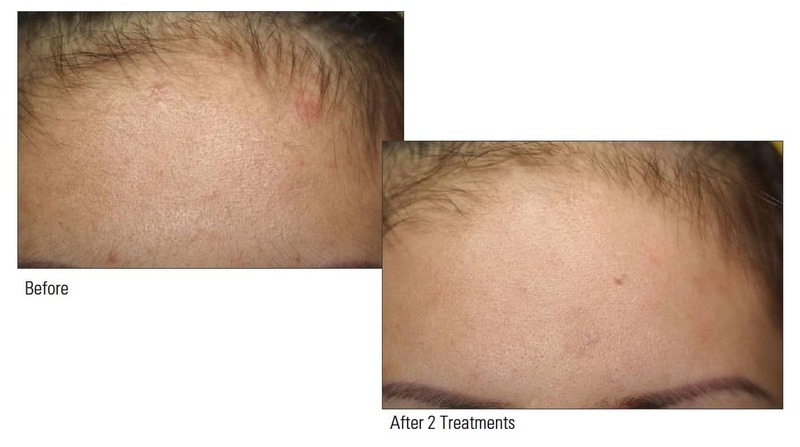 This simple treatment produces smooth, glowing and younger looking skin. How does the Pastelle China Doll Facial work? A thin layer of carbon cream is applied to the skin, to act as a photo enhancer. 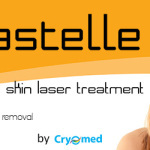 The entire area is then treated by the Pastelle laser light, which is absorbed by the carbon on the skin’s surface. The carbon cream is shattered and blasted from the skin, taking the dirt, oil and dead skin cells from the epidermal layer, helping to contract the pores. Combining laser toning mode and laser genesis mode will activate collagenesis, providing long-lasting improvement to the underlying structure of the skin. Q. What should my skin feel like after the treatment? A. The skin will feel slightly warm from the Genesis. The skin will also feel tight because of the contraction and the minor inflammation. Overall, the skin will feel very clean and firm. Q. Who is the treatment suited for? A. This treatment is suited for all skin types especially anyone concerned with active acne, post-acne discolouration, skin laxity and anyone wanting no downtime skin rejuvenation. Q. What skin types can trial this particular treatment? A. It is suitable for all skin types i.e. sensitive skin, problem skin, dry skin. 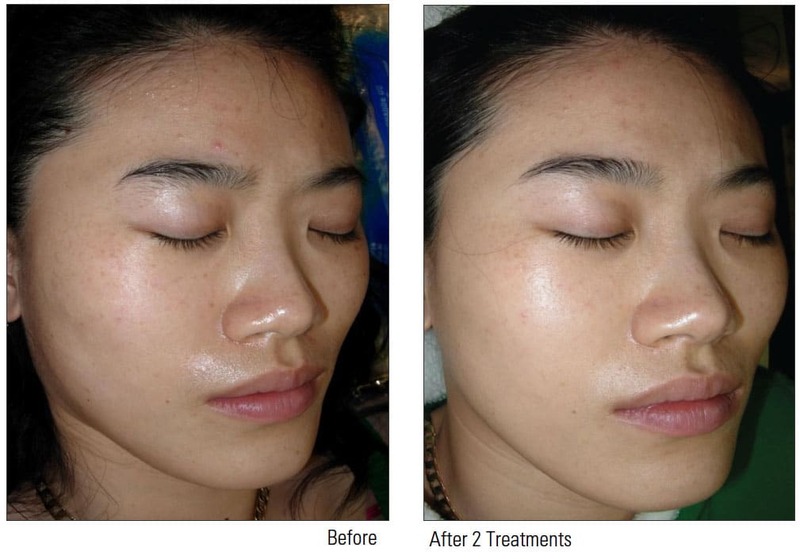 The China Doll Laser Facial is suitable for both young and older skin with sun damage as well. Q. What kind of results should I expect to see from this treatment? A. Individuals will experience an improvement in active acne, resulting in a clearer, cleaner complexion due to the removal of dead skin cells from the superficial epidermal layer. 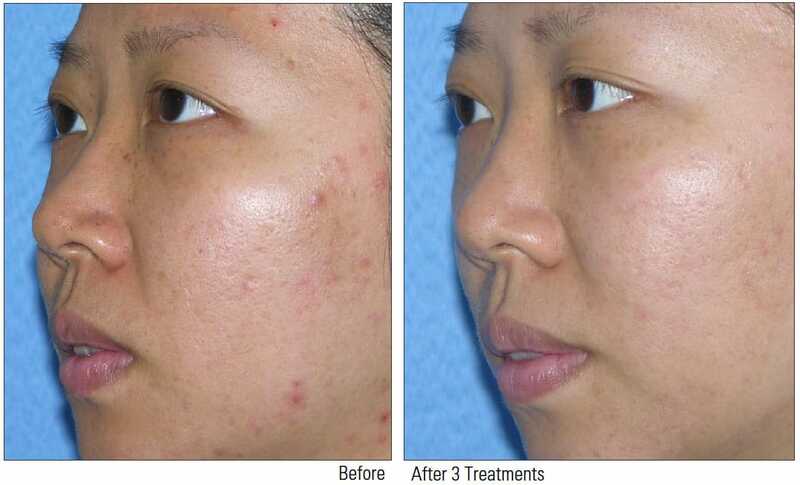 Scars and post acne discolouration will also become less visible. There will be a reduction in the appearance of fine lines and wrinkles as well as improvement to the tone and texture of the skin. Q. How long in advance should I have this treatment before an event? A. 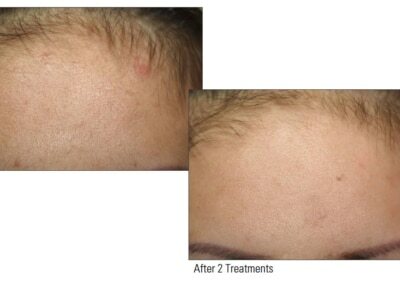 All China Doll Laser Facials are recommended to be spaced 1 to 4 weeks before a big event. This gives your skin ample time to produce additional collagen and elastin. 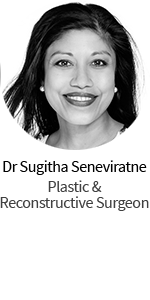 The more treatments performed the better the long-term results in reducing both pore size and minimising wrinkles. Q. What do you recommend for aftercare? A. 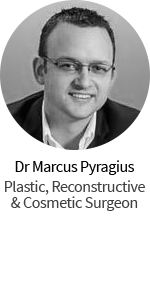 Avoid active peels i.e. 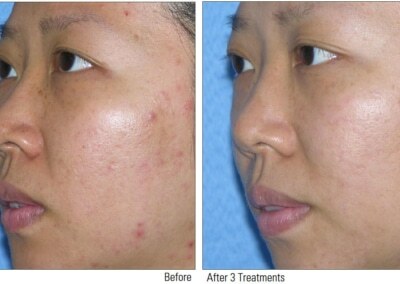 chemical peels for at least two weeks after the treatment. It is recommended to use a good sunblock each with a minimum SPF of 30.